The new iPad Pro packs Apple’s fastest chip ever, but it turns out the tablet is actually slower than the 12.9-inch version. 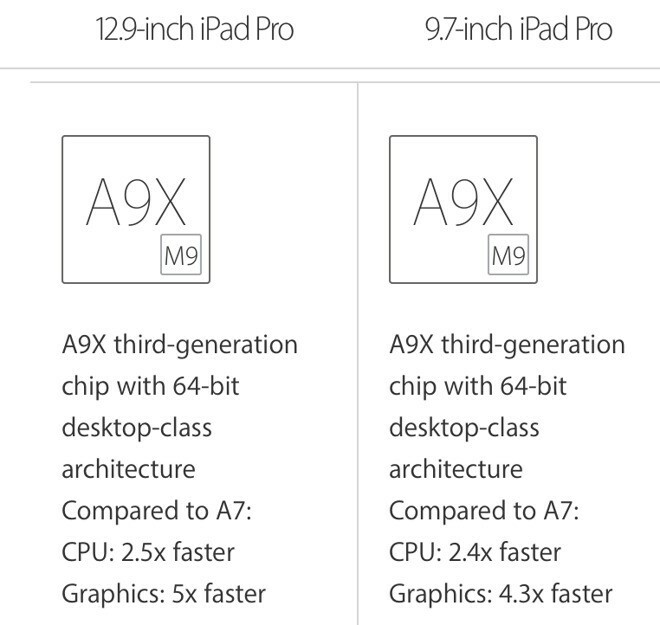 Both iPad Pros use the A9x processor. However, when Phil Schiller was gushing about the new 9.7-inch iPad Pro’s “grunt” during Monday’s iPhone SE keynote, he didn’t mention that Apple underclocked the new processor and reduced its horsepower. After years of declining tablet sales, Apple is pinning its hopes for revival on the two iPad Pro models. Packing increased processing power, and working with advanced accessories like the Apple Pencil and the Smart Keyboard, the iPad Pros are far more capable than previous versions. Apple is positioning the iPad Pros as desktop replacements, and placed particular emphasis on luring Windows users during Monday’s unveiling of the 9.7-inch iPad Pro, which could be Apple’s most important iPad since the launch of the original in 2010. Why is new iPad Pro slower? In a spec-sheet comparison of the two iPad Pro models, Apple revealed that the A9X chip in the 9.7-inch model is slightly slower than that found in the 12.9-inch in terms of CPU performance. The big difference comes in graphics, with the 9.7-inch unit’s A9X chip being 4.3x faster than Apple’s A7 processor, while the 12.9-inch unit’s A9X chip is 5x faster. TechCrunch’s Matthew Panzarino ran a GeekBench analysis during the hands-on time at the keynote and also discovered the smaller iPad Pro only has 2GB of RAM while the bigger model comes with 4GB. The new iPad Pro’s single-core hit 3022 while the bigger unit scores 3231 (higher is better). In the multi-core test the 9.7-inch iPad Pro scores 5107 and the 12.9-inch iPad Pro scores 5482. 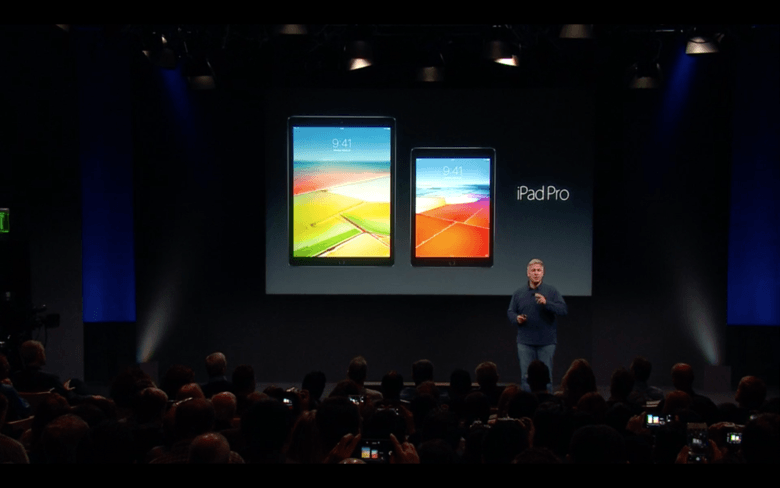 It’s unclear why Apple underclocked the 9.7-inch iPad Pro’s processor. Apple may have made it slower to preserve battery life, or it could have something to do with overheating in the smaller space. The A9X processor isn’t the only trade-off buyers have to consider between the two models. Apple included USB-3 support on the 12.9-inch model’s Lightning port, but the 9.7-inch iPad Pro only supports USB 2.0 speeds. The display on the smaller model is better overall and it has a better camera, but the larger size packs more pixels. Preorders for the new 9.7-inch iPad Pro open March 24, with units hitting stores March 31.